The opening of the new PedEast border crossing, located where the old east San Ysidro Border Crossing used to be, is expected to reduce wait times for those crossing from Tijuana to San Diego. The new facility, which replaces the temporary crossing set up next to the San Ysidro Trolley Station, will boast 22 booths for processing northbound pedestrians, as well as cutting-edge technology to enhance security at the port of entry, and will provide a new alternative to cross into the U.S. from Tijuana. According to Customs and Border Protection, approximately 40,000 people cross the border on foot: 15,000 through the PedWest facility, 10,000 through Otay, 5,000 through the CBX airport bridge, and until now, 10,000 used to cross through the eastside facility. PedEast will have twice as many primary inspection booths as its predecessor, which should alleviate border waits, which can be more than one hour during peak hours. “The experience should be much more pleasant (for its users),” said Ramon Riesgo, Project Manager at the General Services Administration. What business organizations are asking for now is for the U.S. government to have enough manpower to keep most of the lanes in operation. 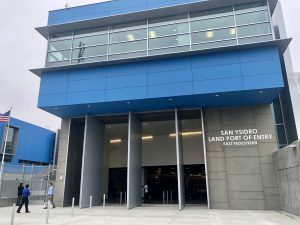 “We’ve always been in favor of more infrastructure, but at the end of the day, what impacts the delays is the officer in the booth, or having an officer in the booth,” stated San Ysidro Chamber of Commerce Director Jason Wells. Port Director Sidney Aki added that, given that this is the “most visited border crossing [in the world]” they are allocating staff to meet the demand. While the facility opened with 10 of the 22 lanes in operation, more could be added during peak hours. Public officials from both the U.S. and Mexico were present for the inauguration ceremony held for this new border crossing, which is part of the larger San Ysidro Port of Entry expansion project that began close to a decade ago. 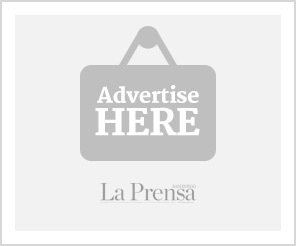 U.S. Consul General in Tijuana Sue Saarnio expressed that the opening of the modernized pedestrian crossing is representative of the bilateral collaboration on economic and security issues. “it is our commitment and tangible proof that our two nations can work together to expand our trade capacity and the legitimate flow of people across our borders,” she said. I-94 permits will start being processed at the PedEast facility starting on September 30th. The new border crossing will be open around the clock, and like the other ports of entry, will have segregated SENTRI and Ready lanes.